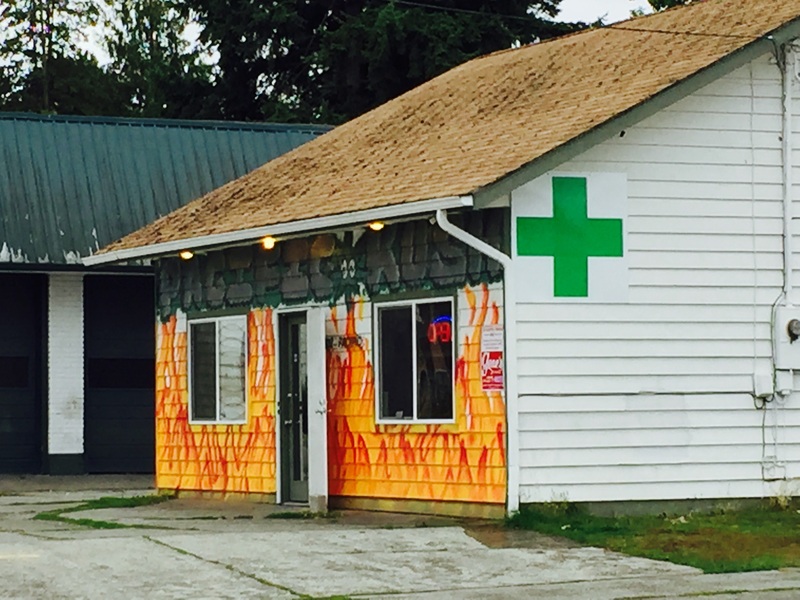 Per the News Tribune Tacoma has 60+ medical marijuana stores. It’s always seemed to me that Pacific Avenue has more than its share, so today I drove by and counted them. There are 13 retail locations between I-5 and Highway 512. In comparison, there are two dedicated liquor stores, though of course other places to buy liquor both for on site drinking and take out. 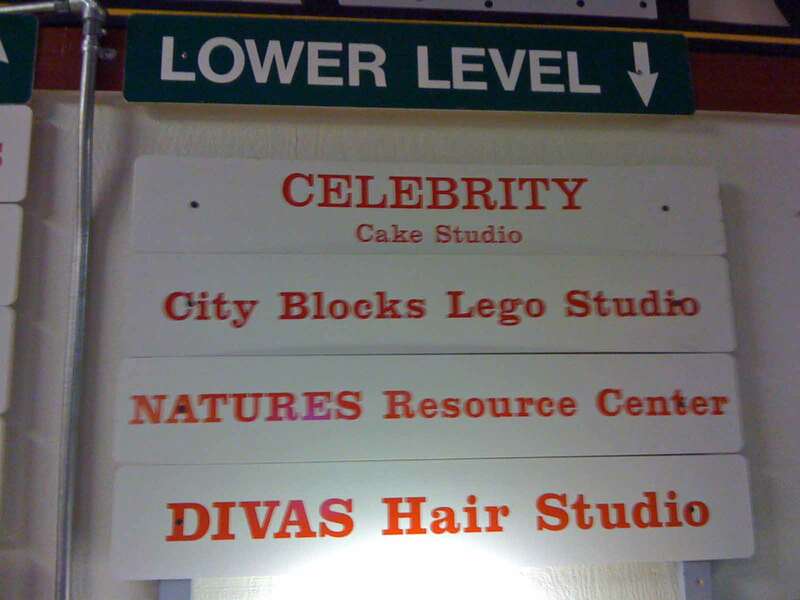 One mentioned by the News Tribune is no longer there, but I found two new ones. In one case the owner was actually hanging up his open sign for the first time. So, just for the record, no it isn’t my vice and I didn’t go inside. But I do think there is a place for medical marijuana. It just seems like like 13 is a great many. The article said that most will be asked to close their doors, so I thought if I was going to take their photos that now was the time. Maybe I’ll revisit next year and see what remains. My favorites were Pacific Rush which has flames and the drive through (yes, drive through, my mind boggles). My favorite name was Ancient Medicine Collective. This entry was posted in Stores and other places that sell you things, Unique Shopping (stores with some personality) and tagged Ancient Medicine, Ashley's Medicinal Garden, cannabis, Elements, Elements Sunshine, Green Collar Club, marijuana, medical marijuana, Natural Medicine, Natural Resources, Northwest, Pacific Avenue, Pacific Rush, pot, SMC, stores, sunshine, Tacoma Cannabis, Tacoma Healing Collective, The Green Warehouse, TMC on September 7, 2015 by admin. I wasn’t sure what I expected, but the storefront has dignity and an attractive waiting area. I purposefully didn’t photograph anyone coming or going, but they looked like everyday kind of folks. I understand that they sell medical marijuana (cannabis), but I personally don’t see it being a problem being next to a store specializing in legos. 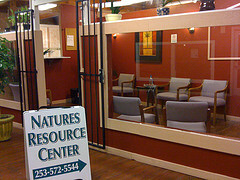 This entry was posted in Service Places, Stores and other places that sell you things, Tacoma, Their future is in question, Unique Shopping (stores with some personality), WA State - Pierce County and tagged cannabis, Freighthouse Square, marijuana, medical, Nature's Resource Center, pain management, storefront on February 11, 2011 by admin.